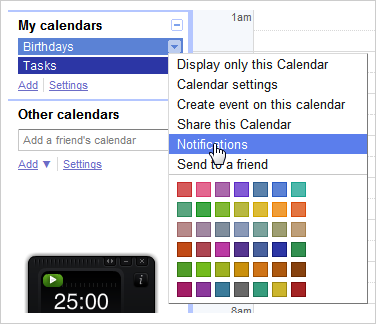 If you want to keep on top of birthdays for all your Facebook friends, but you don’t want to check Facebook all the time, you can import those birthdays into Google Calendar, where you can then setup reminders. 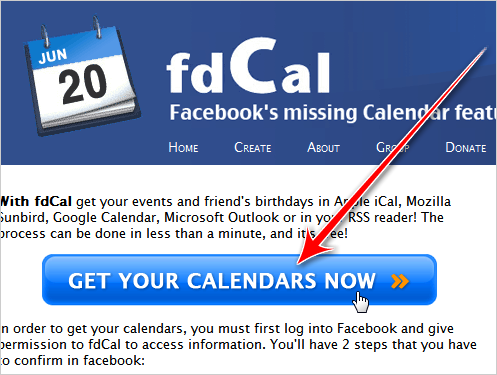 To accomplish this, we’ll use fdCal to pull the calendars from Facebook and then import them. Read on to know about how you can get this accomplished in a matter of a few minutes. Editor’s Note: of course, if you just want to get an email when your Facebook friends have a birthday coming up, Facebook has that feature under Account Settings –> Notifications. 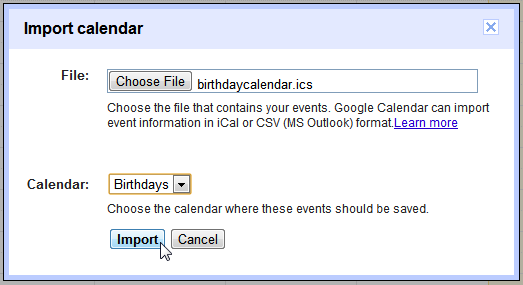 If you want to consolidate everything into Google Calendar, this also works. This is a guest post by Shankar Ganesh. First, go to FBcal.com and click on the big blue button that says “Get your calendars now”. 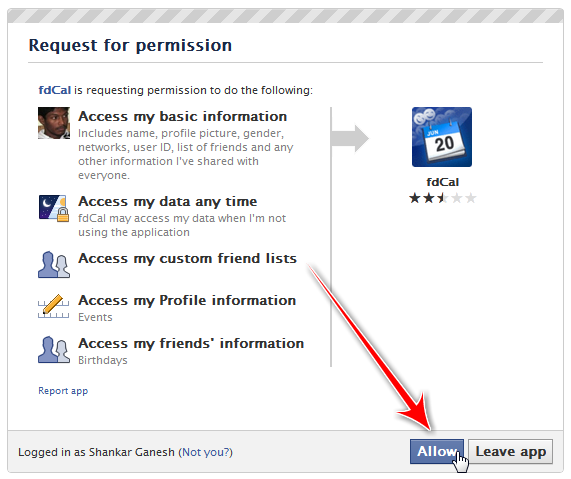 You can now review the permissions requested by the fbCal app and grant it access so that it can see your events and friend birthdays. 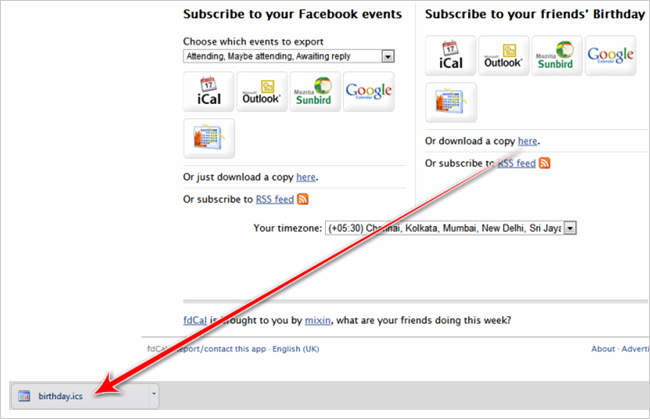 You’ll now be taken to a page from where you can download all your events as a Calendar file. You also have the choice of downloading/importing your friends’ birthdays into Google Calendar, iCal, Outlook and the like. Click on “Download a copy here” to download your friends’ birthdays as an .ics file. 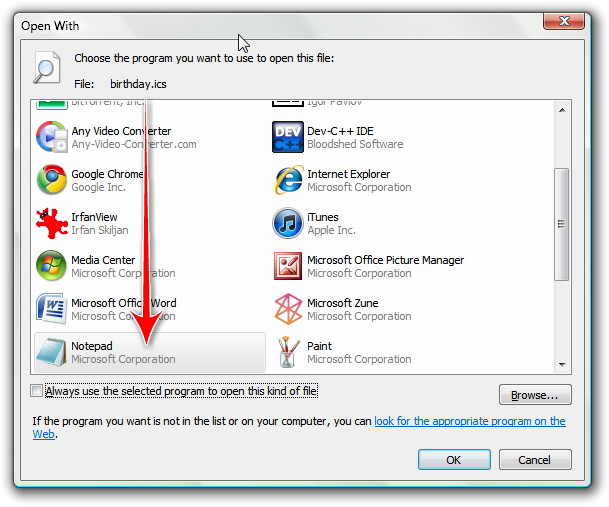 Right click on the file you’ve just downloaded and choose the “Open With” option. Choose Notepad from the list of programs. The file should open in Notepad. There should be a lot of gibberish text in it. For the moment, don’t bother about it. Just go to File > Save As and save it as somename.ics. Click on the “Mobile Setup” tab, choose your country of residence and key in your mobile number. 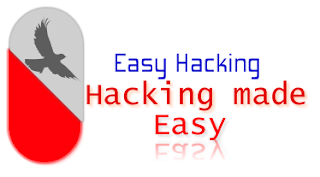 Verify it by typing the code you received as a text message. Click “Save”. Relax. We’re doing a lot of things, aren’t we? Now, in the left panel, you’ll find a dropdown “Add” under “Other Calendars”. Click on this menu and choose “Import Calendar”. Choose the calendar that you just opened in notepad and saved as somename.ics and click “Import”. 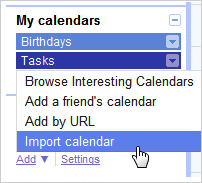 Your friends’ birthdays have now been imported into your Google Calendar account. You’ll get a confirmation message like the one below. You can now use the drop down menu to add SMS or email reminders before a set number of days/weeks. You can add multiple reminders – may be you can add one that sends you an alert via email a week before a birthday and another that sends a text message a day before a birthday.